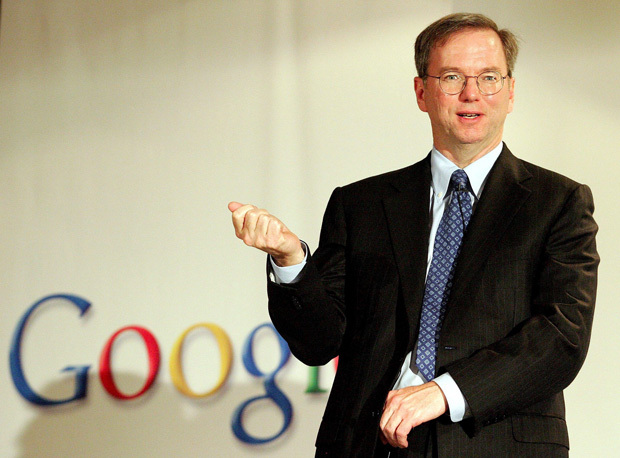 In the last few months Eric Schmidt, the gaffe-prone CEO of Google, has made public statements that make us question whether the company’s slogan still is “Don’t be evil.” In interview after interview, Schmidt has made tactless comments on especially sensitive and controversial topics such as online privacy and net neutrality. As CEO, one of Schmidt’s largest roles is to act as a spokesperson for the company, but that ironically seems to be his Achilles’ heel. Here are some of his more recent faux pas. 1. “The average American doesn’t realize how much of the laws are written by lobbyists.” Schmidt made this remark last week. While he expressed shock at how Washington works, he neglected to mention that Google spent $1.34 million last quarter on lobbyists–an increase of 41% year-over-year–and as much as $2.72 million in the first half of 2010. If lobbyists are writing the laws, then Google is certainly dropping enough dough to make sure it’s controlling the pen. 2. “We know where you are. We know where you’ve been. We can more or less know what you’re thinking about.” And this said on the topic of privacy! Schmidt has the uncanny ability to confirm our darkest suspicions of Google. 3. “I don’t believe society understands what happens when everything is available, knowable and recorded by everyone all the time.” Schmidt said this in an interview with the Wall Street Journal, which reported that “[Schmidt] predicts, apparently seriously, that every young person one day will be entitled automatically to change his or her name on reaching adulthood in order to disown youthful hijinks stored on their friends’ social media sites.” In order to escape the wide reach of Google’s SEO, we’ll soon have to change our names, as if covering up a digital scarlet letter? Schmidt later retracted the statement, calling it a joke. 5. “There’s such an overwhelming amount of information now, we can search where you are, see what you’re looking at if you take a picture with your camera. One way to think about this is, we’re trying to make people better people, literally give them better ideas—augmenting their experience. Think of it as augmented humanity.” Not even Charlie Rose can keep Schmidt from going off message. 6. “The best thing that would happen is for Facebook to open up its data. Failing that, there are other ways to get that information,” Schmidt told the audience at the Google Zeitgeist conference. 7. “We can suggest what you should do next, what you care about. Imagine: We know where you are, we know what you like,” Schmidt said as the IFA’s keynote speech in Berlin, amping up the creepiness.